Mystery Lovers' Kitchen: Blessed are the Quiche Makers! Blessed are the Quiche Makers! My recipe for you this week is a quiche to die for. :) Our own Avery Aames is celebrating the publication of her third Cheese Shop Mystery today. 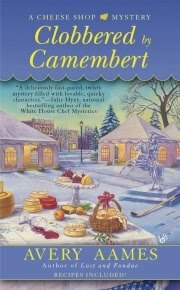 Clobbered by Camembert is now officially on sale, so don't miss your chance to return to the picturesque town of Providence, Ohio, and visit with Charlotte in her charming shop Fromagerie Bessette. To help Avery celebrate the release of her new Cheese Shop Mystery, I'm revisiting an excellent recipe she shared with me last year. Avery's amateur sleuth, Charlotte, who runs the cheese shop with charm and grace, creates a new quiche every week for her customers. Avery very generously shared one of Charlotte's recipes with me last year. I whipped it up for a brunch and my husband and I inhaled it. This quiche is absolutely delicious with fragrant layers of flavor that transcend the average fare. I think it would also make a delicious and romantic Valentine's Day dinner. Because, yes, real men DO eat quiche. Just ask my hunky husband! So here you are--a killer of a quiche recipe courtesy of my fellow crime-writing cook...award-winning author Avery Aames! (1) Bake or sauté bacon until crisp. Remove from heat and cool on paper towels. Break into thirds. (2) Sauté Vidalia onions and green onions in olive oil at medium heat until they turn limp and slightly brown/caramelized. Remove from heat and drain on paper towels. (3) Sprinkle (1/2 to 1) teaspoon of white pepper and 2 oz. 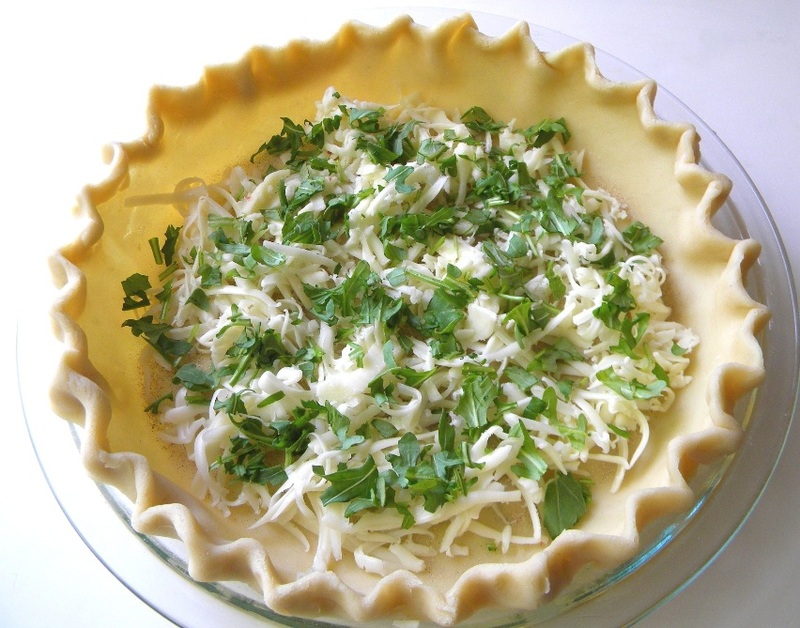 shredded cheese on pie crust. Layer with finely chopped arugula. (4) Lay onions on top of arugula. Lay bacon on top of onions. (5) Mix milk, eggs, and seasonings together. Pour into pie crust. Sprinkle egg mixture with remaining cheese. (6) Bake 35-40 minutes at 375 degrees F. until quiche is firm and lightly brown on top and crust. *Note, if Gluten-free pie shell used, this recipe is Gluten-free. I do enjoy a good Quiche. I never made one myself. Ok I tried once a LONG time ago and it was a huge fail. Thanks for dropping by today, Shawn, always a pleasure to see you in our Kitchen! Thank you for the salad tip. 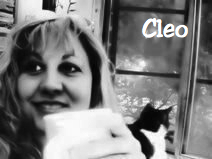 Cleo, thank you so much for pitching Clobbered this a.m. Aren't you sweet! And wow, I really need photography lessons from you. The pictures are amazing! Do you and hubby have a dedicated photo studio with extra special Hollywood style lights? Wow!! My mouth is watering and I know what this tastes like. Thank you for all your support. Eat quiche and Say Cheese! My pleasure, Avery, thank *you* again for sharing such a delicious recipe. On the photos, thanks for the nice words. No special lights, just sunlight and a big window. My camera is a discount Best Buy Nikon (Coolpix model) - I just take a lot of photos and hope for the best, lol. Congrats again on Clobbered - enjoy your release week! Mmmm...now I'm hungry, and I just ate breakfast. Oh, this looks so good! I love a nice quiche. For people with gluten sensitivity, another way to go is to make the quiche right in the pie pan that has been liberally sprayed with your favorite pan release spray. That filling sounds so good you might not even miss the crust. When I was on Atkins (which I must get back to) I made all kinds of quiches without crusts and they worked just fine. Thanks again for the tip, H…and for dropping by our Kitchen today. Enjoy the week! Harbingerdc - I am gluten free and I make mine with a pre made gluten-free pie shell. Can't tell the difference! I’m with you on the arugula. Such a fresh, grassy aroma—a breath of spring in the middle of winter. Wonderful recipe from Avery (and her Charlotte)! Nice of you to drop by today, Lucy. Thanks and enjoy the rest of your week! It looks divine! I wish I could just grab it off the page and eat it! I got my copy yesterday and plan to spend the weekend in Ohio with the cheesy gang! Cleo, as always, simply STUNNING photos! And can not wait to sub spinach for the peppery arugula! What a great idea! This quiche is beautiful, Cleo! Yum, I want to dig right in -- only it's too pretty. Avery, hope you sell tons of books! I think you will! It's a fun series.